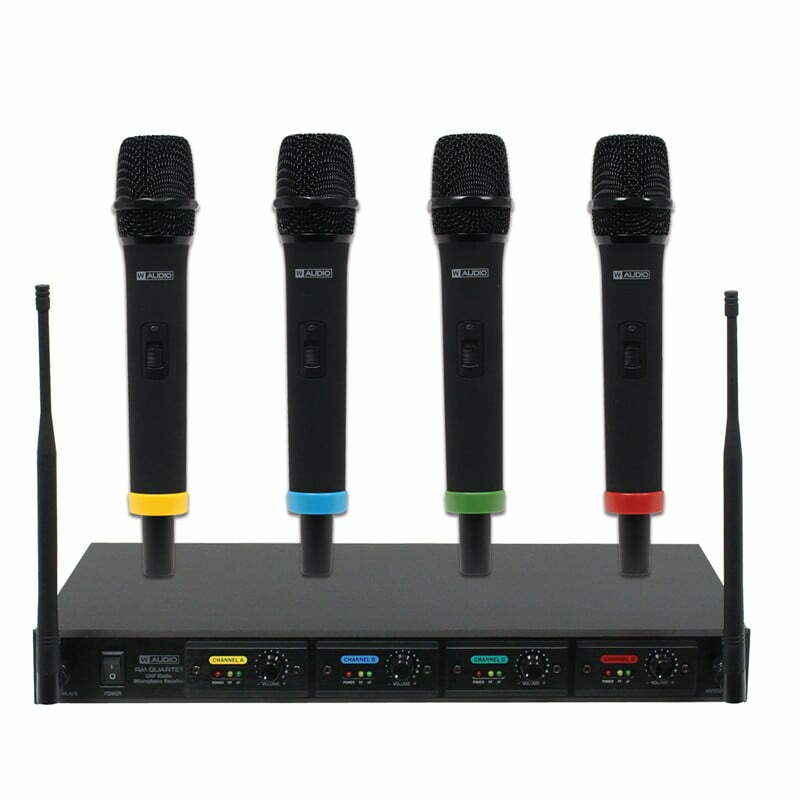 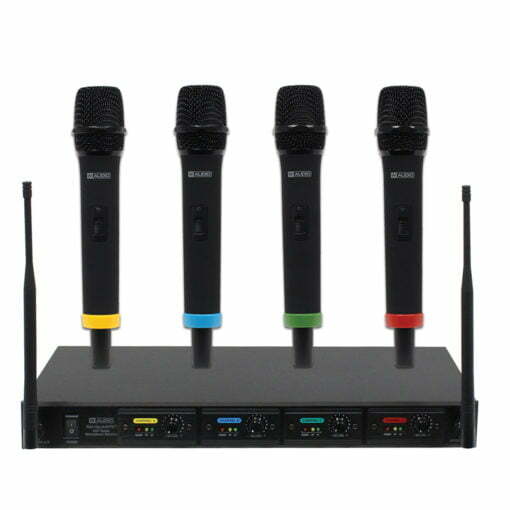 The RM Quartet Handheld Radio Microphone System is designed for many applications; including vocal and public address where up to four handheld transmitters are required. 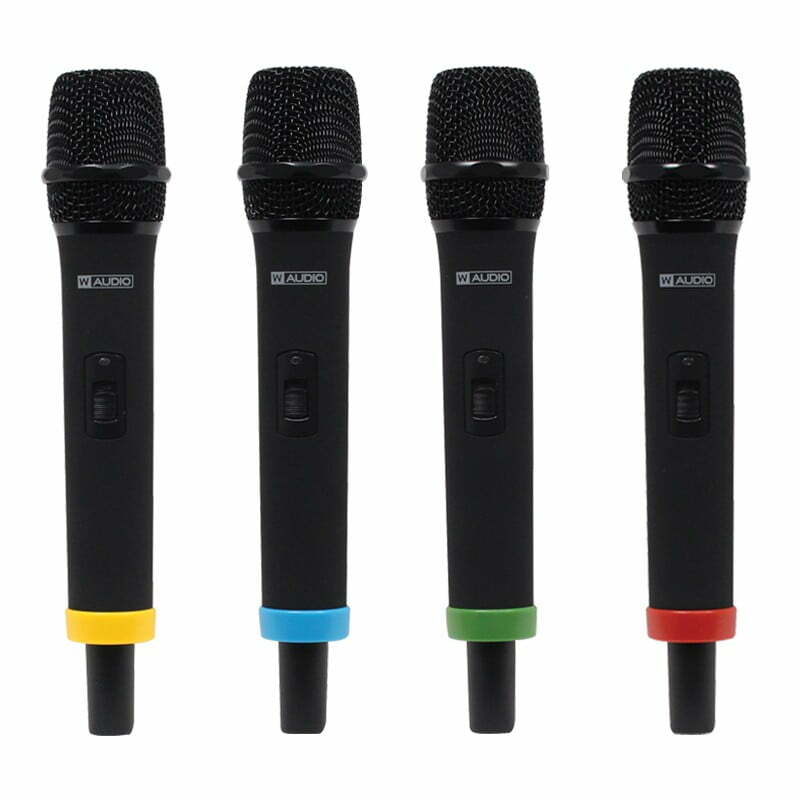 The robust design allows the system to withstand the rigours of the road; making it perfect for karaoke; entertainers and performers. 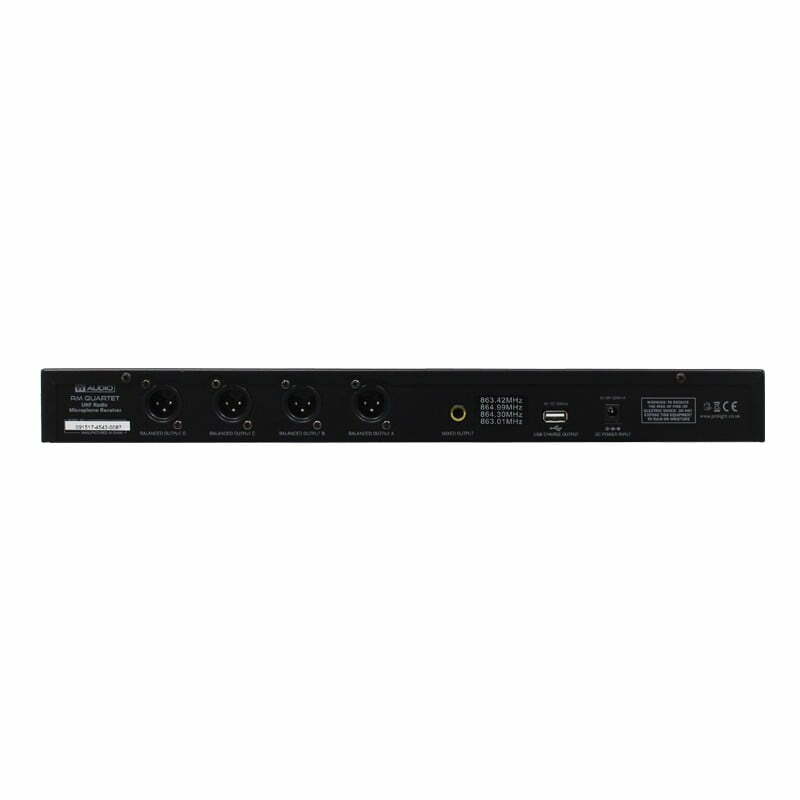 The rack mountable receiver features four balanced XLR outputs; one for each channel plus one mixed output via an unbalanced 6.35mm (1/4”) jack. 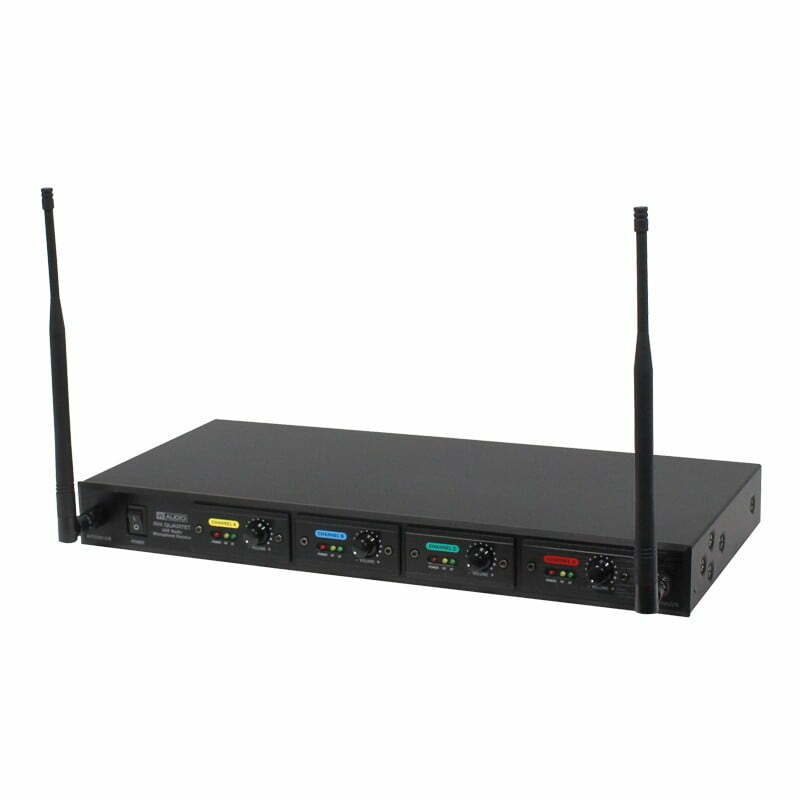 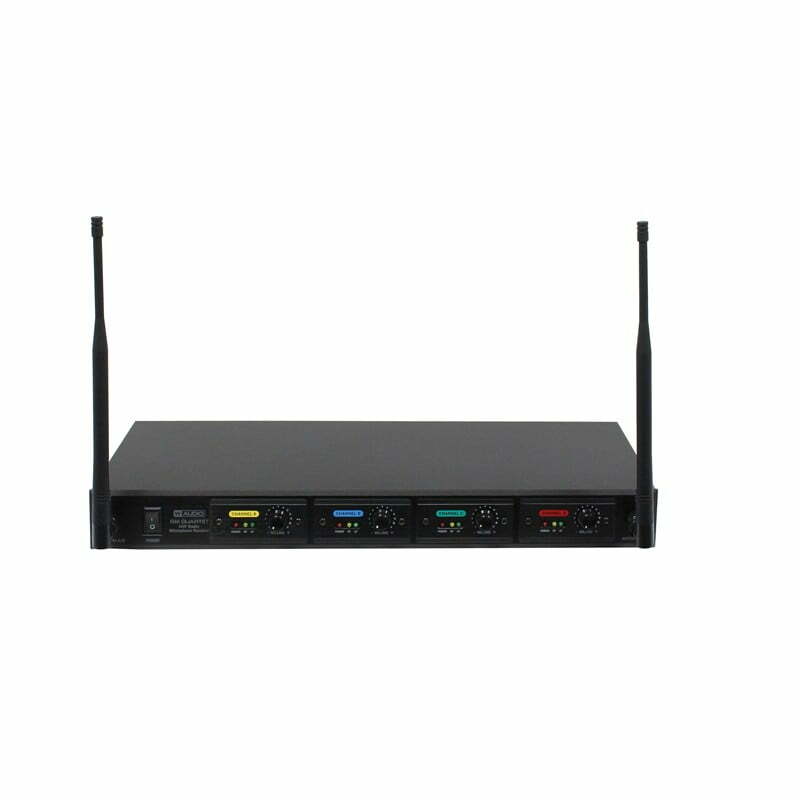 The receiver features a USB 5V power outlet for charging the handheld receivers with the supplied dual USB cable.